第六届结构工程新进展国际论坛文集, 合肥, 2014. 9. 20-21, 北京: 中国建筑工业出版社: 196-243. Abstract: Civil engineering structures are the foundation of human life and city function. Because of the huge size, expensive cost and complicated disaster evolution behavior of civil engineering structures, numerical simulation is one of the most important methodologies to study their performance subjected to hazards. This work will review the research and application of the authors’ group on the numerical simulation and disaster mitigation of engineering structures and urban areas, including the numerical models for mega engineering structures, the GPU-based high performance solution method, the seismic damage prediction of urban buildings based on high-fidelity model, the physical engine-driven collapse simulation for urban buildings, and the application of collapse simulation in real super tall buildings and super large-span bridges. These works will provide reference for the research in related fields. Intel Core i3 530 @2.93GHz & DDR3 4G 1333MHz. Intel Celeron E3200 @ 2.4GHz & NVIDIA GeForce GTX 460 1GB. 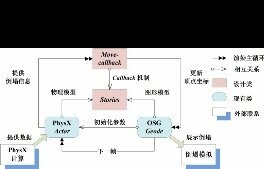 Yamashita T, Kajiwara K, Hori M. Petascale Computation for Earthquake Engineering. Computing in Science & Engineering, 2011,13 (4):44-49. Ibarra LF, Krawinkler H. Global Collapse of Frame Structures Under Seismic Excitations. Pacific Earthquake Engineering Research Center, 2005. 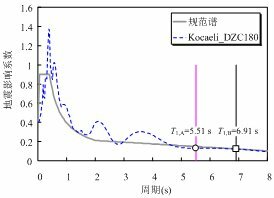 Kabeyasawa T, Shiohara H, Otani S, Aoyama H. Analysis of the Full-Scale Seven-Story Reinforced Concrete Test Structure: Proc. 3rd JTCC, US-Japan Cooperative Earthquake Research Program, BRI, Tsukuba, Japan, 1982. 李国强, 周向明, 丁翔. 钢筋混凝土剪力墙非线性动力分析模型. 世界地震工程, 2000(02):13-18. Taucer FF, Spacone E, Filippou FC. A Fiber Beam-Column Element for Seismic Response Analysis of Reinforced Concrete Structures. Report No. UCB/EERC-91/17, UC Berkeley, America, 1991. Spacone E, Filippou FC, Taucer FF. 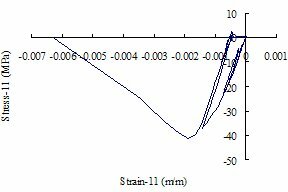 Fibre Beam-Column Model for Non-Linear Analysis of R/C Frames .1. Formulation. Earthquake Engineering & Structural Dynamics, 1996,25 (7):711-725. Legeron F, Paultre P. Uniaxial Confinement Model for Normal- and High-Strength Concrete Columns. Journal of Structural Engineering-ASCE, 2003,129 (2):241-252. 汪训流, 陆新征, 叶列平. 往复荷载下钢筋混凝土柱受力性能的数值模拟. 工程力学, 2007(12):76-81. Esmaeily A, Xiao Y. Behavior of Reinforced Concrete Columns Under Variable Axial Loads: Analysis. ACI Structural Journal, 2005,102 (5):736-744. 叶列平, 陆新征, 马千里, 汪训流, 缪志伟. 混凝土结构抗震非线性分析模型、方法及算例. 工程力学, 2006(S2):131-140. 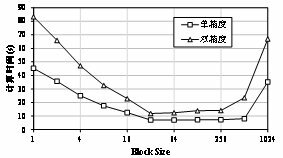 Li Y, Lu X, Guan H, Ye L. An Improved Tie Force Method for Progressive Collapse Resistance Design of Reinforced Concrete Frame Structures. Engineering Structures, 2011,33 (10):2931-2942. 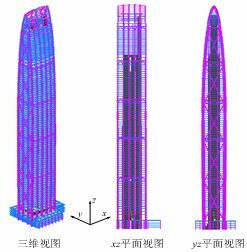 Lu X, Lu X, Guan H, Ye L. Collapse Simulation of Reinforced Concrete High-Rise Building Induced by Extreme Earthquakes. Earthquake Engineering & Structural Dynamics, 2013,42 (5):705-723. Ren P, Li Y, Guan H, Lu X. 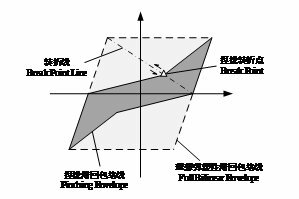 Progressive Collapse Resistance of Two Typical High-Rise RC Frame Shear Wall Structures. Journal of Performance of Constructed Facilities-ASCE, 2014. 唐代远. 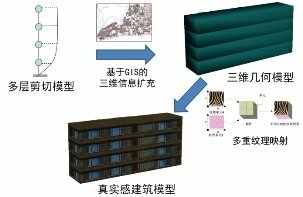 等跨 RC 框架结构抗地震倒塌性能的试验研究及理论分析. 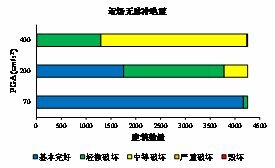 北京: 清华大学硕士学位论文, 2011. 门俊, 陆新征, 宋二祥, 陈肇元. 分层壳模型在剪力墙结构计算中的应用. 防护工程, 2006,28(3):9-13. 魏勇, 钱稼茹, 赵作周, 蔡益燕, 郁银泉, 申林. 高轴压比钢骨混凝土矮墙水平加载试验. 工业建筑, 2007(06):76-79. 解琳琳, 黄羽立, 陆新征, 林楷奇, 叶列平. 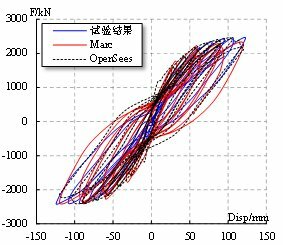 基于 OpenSees 的 RC 框架-核心筒超高层建筑抗震弹塑性分析. 工程力学, 2014(01):64-71. Loland KE. 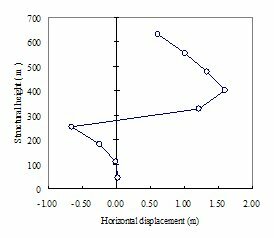 Continuous Damage Model for Load-Response Estimation of Concrete. Cement and Concrete Research, 1980,10 (3):395-402. Mazars J. A Description of Microscale and Macroscale Damage of Concrete Structures. Engineering Fracture Mechanics, 1986,25 (5-6):729-737. Humphrey JR, Price DK, Spagnoli KE, Paolini AL, Kelmelis EJ. 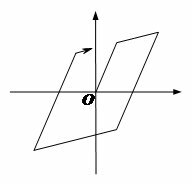 CULA: Hybrid GPU Accelerated Linear Algebra Routines, 1000 20TH ST, PO BOX 10, BELLINGHAM, WA 98227-0010 USA, 2010. 蒋欢军, 和留生, 吕西林, 丁洁民, 赵昕. 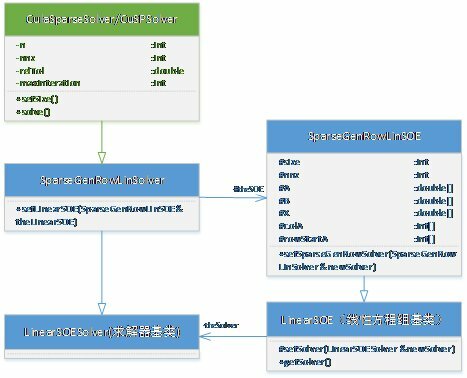 上海中心大厦抗震性能分析和振动台试验研究. 建筑结构学报, 2011(11):55-63. 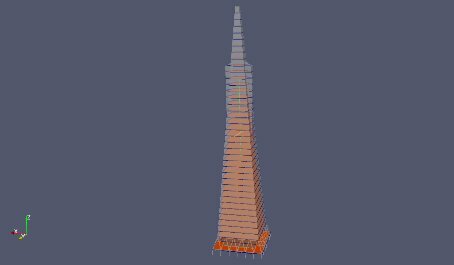 Lu X, Lu X, Zhang W, Ye L. Collapse Simulation of a Super High-Rise Building Subjected to Extremely Strong Earthquakes. Science China-Technological Sciences, 2011,54 (10):2549-2560. 范立础, 胡世德, 叶爱君. 大跨度桥梁抗震设计. 人民交通出版社, 2001. 陈幼平, 周宏业. 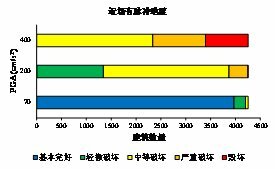 斜拉桥地震破坏的计算研究. 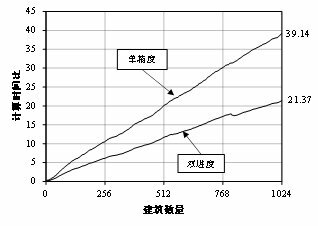 地震工程与工程振动, 1995(03):127-134. Yeh Y, Mo YL, Yang CY. 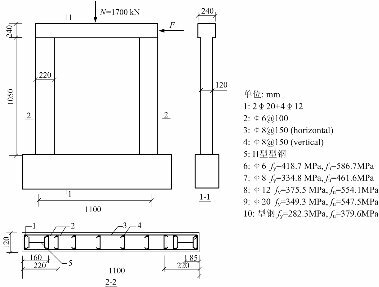 Seismic Performance of Rectangular Hollow Bridge Columns. Journal of Structural Engineering-ASCE, 2002,128 (1):60-68. Shome N, Cornell CA, Bazzurro P, Carballo JE. Earthquakes, Records, and Nonlinear Responses. Earthquake Spectra, 1998,14 (3):469-500. Tothong P, Luco N. Probabilistic Seismic Demand Analysis Using Advanced Ground Motion Intensity Measures. Earthquake Engineering & Structural Dynamics, 2007,36 (13):1837-1860. Luco N, Cornell CA. Structure-Specific Scalar Intensity Measures for Near-Source and Ordinary Earthquake Ground Motions. Earthquake Spectra, 2007,23 (2):357-392. Baker JW, Cornell CA. 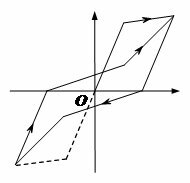 A Vector-Valued Ground Motion Intensity Measure Consisting of Spectral Acceleration and Epsilon. Earthquake Engineering & Structural Dynamics, 2005,34 (10):1193-1217. Lu X, Ye L, Lu X, Li M, Ma X. 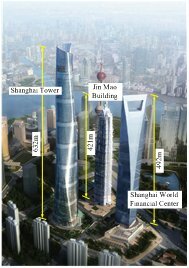 An Improved Ground Motion Intensity Measure for Super High-Rise Buildings. Science China-Technological Sciences, 2013,56 (6):1525-1533. Ye L, Ma Q, Miao Z, Guan H, Yan Z. Numerical and Comparative Study of Earthquake Intensity Indices in Seismic Analysis. 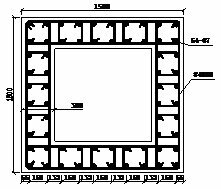 Structural Design of Tall and Special Buildings, 2013,22 (4):362-381. 汪大绥, 周建龙, 姜文伟, 王建, 江晓峰. 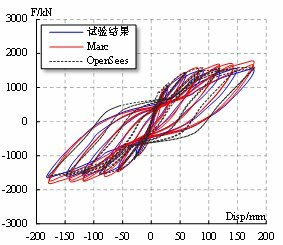 超高层结构地震剪力系数限值研究. 建筑结构, 2012(05):24-27. 李俊, 王震宇. 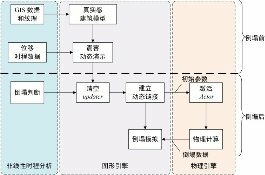 超高强混凝土单轴受压应力-应变关系的试验研究. 混凝土, 2008(10):11-14. 陆新征, 叶列平. 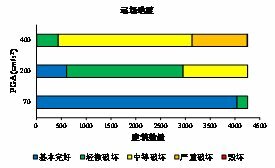 基于IDA分析的结构抗地震倒塌能力研究. 工程抗震与加固改造, 2010(01):13-18. Onur T, Ventura CE, Finn WDL. A Comparison of Two Regional Seismic Damage Estimation Methodologies. Canadian Journal of Civil Engineering, 2006,33 (11):1401-1409. Earthquake Loss Estimation Methodology - HAZUS97. Technical Manual. Washington, D.C.: Federal Emergency Management Agency – National Institute of Building Sciences, 1997. Earthquake Loss Estimation Methodology - HAZUS99. Technical Manual. Washington, D.C.: Federal Emergency Management Agency – National Institute of Building Sciences, 1999. Sextos AG, Kappos AJ, Stylianidis KC. 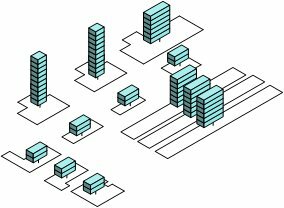 Computer-Aided Pre- and Post-Earthquake Assessment of Buildings Involving Database Compilation, GIS Visualization, and Mobile Data Transmission. Computer-Aided Civil and Infrastructure Engineering, 2008,23 (1):59-73. Iwan WD. Drift Spectrum: Measure of Demand for Earthquake Ground Motions. Journal of Structural Engineering-ASCE, 1997,123 (4):397-404. Lu X, Han B, Hori M, Xiong C, Xu Z. 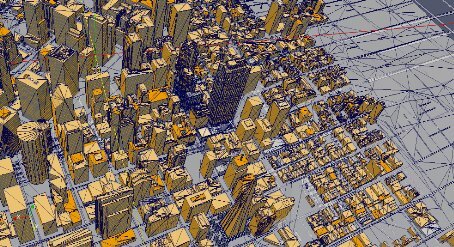 A Coarse-Grained Parallel Approach for Seismic Damage Simulations of Urban Areas Based On Refined Models and GPU/CPU Cooperative Computing. Advances in Engineering Software, 2014,70 (0):90-103. Moghaddam H, Mohammadi RK. 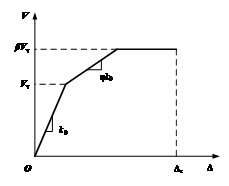 Ductility Reduction Factor of MDOF Shear-Building Structures. Journal of Earthquake Engineering, 2001,5 (3):425-440. Veletsos AS, Vann WP. Response of Ground–Excited Elasto-Plastic Systems. Journal of Structural Division-ASCE, 1971,97 (4):1257-1281. 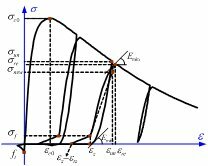 Diaz O, Mendoza E, Esteva L. Seismic Ductility Demands Predicted by Alternate Models of Building Frames. Earthquake Spectra, 1994,10 (3):465-487. Pampanin S, Priestley M, Sritharan S. Analytical Modelling of the Seismic Behaviour of Precast Concrete Frames Designed with Ductile Connections. Journal of Earthquake Engineering, 2001,5 (3):329-367. 经杰, 叶列平, 钱稼茹. 基于能量概念的剪切型多自由度体系弹塑性地震位移反应分析. 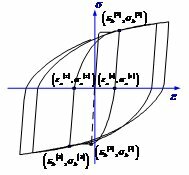 工程力学, 2003(03):31-37. 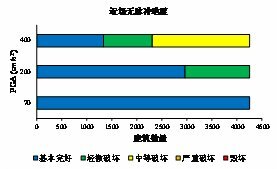 Aoyama H. A Method for the Evaluation of the Seismic Capacity of Existing Reinforced Concrete Buildings in Japan. Bulletin of the New Zealand National Society for Earthquake Engineering, 1981,14 (3):105-130. Hajirasouliha I, Doostan A. 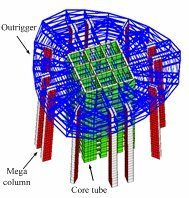 A Simplified Model for Seismic Response Prediction of Concentrically Braced Frames. Advances in Engineering Software, 2010,41 (3):497-505. Muto K. Dynamic Design for Structures. Tokyo: Maruzen Publishing, 1977. 何广乾, 魏琏, 戴国莹. 论地震作用下多层剪切型结构的弹塑性变形计算. 土木工程学报, 1982(03):10-19. FEMA. Multi-Hazard Loss Estimation Methodology Hazus –MH 2.1 Advanced Engineering Building Module (AEBM) Technical and User’S Manual. Washington, D.C.: Federal Emergency Management Agency, 2012. 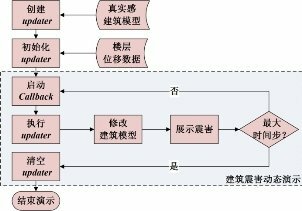 Lin S, Xie L, Gong M, Li M. Performance-Based Methodology for Assessing Seismic Vulnerability and Capacity of Buildings. Earthquake Engineering and Engineering Vibration, 2010,9 (2):157-165. Mahin SA, Lin J. 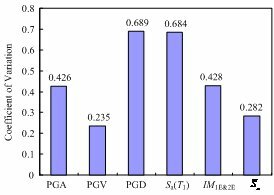 Construction of Inelastic Response Spectra for Single-Degree-Of-Freedom Systems, Computer Program and Applications, Report No. UCB/EERC-83/17. Berkeley: University of California, Earthquake Engineering Research Center, 1984. Steelman JS, Hajjar JF. Influence of Inelastic Seismic Response Modeling On Regional Loss Estimation. 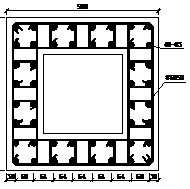 Engineering Structures, 2009,31 (12):2976-2987. Ibarra LF, Medina RA, Krawinkler H. Hysteretic Models that Incorporate Strength and Stiffness Deterioration. Earthquake Engineering & Structural Dynamics, 2005,34 (12):1489-1511. Chopra AK. Dynamics of Structures. Prentice Hall New Jersey, 1995. GB 50009-2001 建筑结构荷载规范. 北京: 中国建筑工业出版社, 2002. 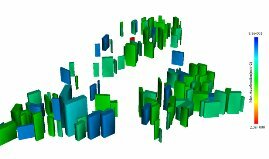 Sobhaninejad G, Hori M, Kabeyasawa T. Enhancing Integrated Earthquake Simulation with High Performance Computing. Advances in Engineering Software, 2011,42 (5SI):286-292. GB 50011-2010 建筑结构抗震设计规范. 北京: 中国建筑工业出版社, 2010. 马玉虎, 陆新征, 叶列平, 唐代远, 李易. 漩口中学典型框架结构震害模拟与分析. 工程力学, 2011(05):71-77. Miao Z, Ye L, Guan H, Lu X. 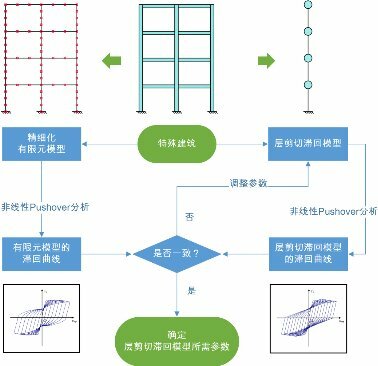 Evaluation of Modal and Traditional Pushover Analyses in Frame-Shear-Wall Structures. Advances in Structural Engineering, 2011,14 (5):815-836. 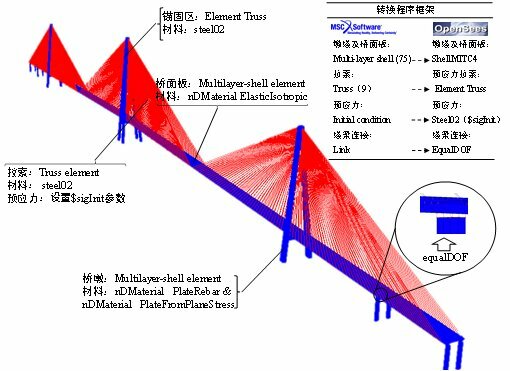 Tang B, Lu X, Ye L, Shi W. Evaluation of Collapse Resistance of RC Frame Structures for Chinese Schools in Seismic Design Categories B and C. Earthquake Engineering and Engineering Vibration, 2011,10 (3):369-377. 施炜, 叶列平, 陆新征, 唐代远. 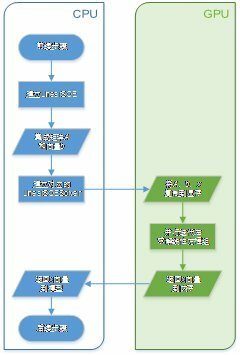 不同抗震设防RC框架结构抗倒塌能力的研究. 工程力学, 2011(03):41-48. Krawinkler H. Van Nuys Hotel Building Testbed Report: Exercising Seismic Performance Assessment.Pacific Earthquake Engineering Research Center, College of Engineering, University of California, Berkeley, 2005. Hori M, Ichimura T. Current State of Integrated Earthquake Simulation for Earthquake Hazard and Disaster. Journal of Seismology, 2008,12 (2):307-321. Owens JD, Luebke D, Govindaraju N, Harris M, Krüger J, Lefohn AE, Purcell TJ. 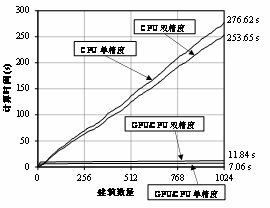 A Survey of General‐Purpose Computation On Graphics Hardware, 2007. Stone JE, Phillips JC, Freddolino PL, Hardy DJ, Trabuco LG, Schulten K. Accelerating Molecular Modeling Applications with Graphics Processors. Journal of Computational Chemistry, 2007,28 (16):2618-2640. Weldon M, Maxwell L, Cyca D, Hughes M, Whelan C, Okoniewski M. A Practical Look at GPU-Accelerated FDTD Performance. Applied Computational Electromagnetics Society Journal, 2010,25 (4SI):315-322. 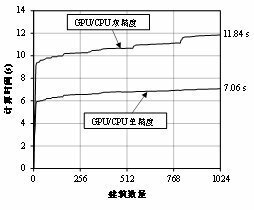 Lv MH, Wei X, Lei C. A GPU-Based Parallel Processing Method for Slope Analysis in Geographical Computation. Advanced Materials Research, 2012,538:625-631. 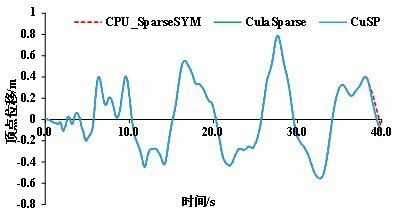 Che S, Boyer M, Meng J, Tarjan D, Sheaffer JW, Skadron K. A Performance Study of General-Purpose Applications On Graphics Processors Using CUDA. Journal of Parallel and Distributed Computing, 2008,68 (10):1370-1380. Hung SL, ADELI H. A Parallel Genetic/Neural Network Learning Algorithm for Mimd Shared-Memory Machines. IEEE Transactions On Neural Networks, 1994,5 (6):900-909. Mackerle J. FEM and BEM Parallel Processing: Theory and Applications - a Bibliography (1996-2002). Engineering Computations, 2003,20 (3-4):436-484. Adeli H. High-Performance Computing for Large-Scale Analysis, Optimization, and Control. Journal of Aerospace Engineering, 2000,13 (1):1-10. Cundumi O, Suarez LE. Numerical Investigation of a Variable Damping Semiactive Device for the Mitigation of the Seismic Response of Adjacent Structures. Computer-Aided Civil and Infrastructure Engineering, 2008,23 (4):291-308. NVIDIA CUDA Programming Guide. http://docs.nvidia.com/cuda/pdf/CUDA_C_Programming_Guide.pdf. FEMA P695 - Quantification of Building Seismic Performance Factors. Washington, D.C.: Federal Emergency Management Agency, 2009. Abdalla R, Tao V. Integrated Distributed GIS Approach for Earthquake Disaster Modeling and Visualization//Berlin: Springer, 2005:1183-1192. Duzgun HSB, Yucemen MS, Kalaycioglu HS, Celik K, Kemec S, Ertugay K, Deniz A. An Integrated Earthquake Vulnerability Assessment Framework for Urban Areas. Natural Hazards, 2011,59 (2):917-947. 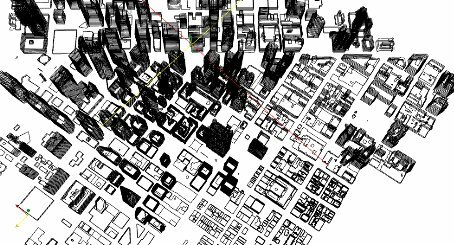 Xu Z, Lu X, Guan H, Han B, Ren A. Seismic Damage Simulation in Urban Areas Based On a High-Fidelity Structural Model and a Physics Engine. Natural Hazards, 2014,71 (3):1679-1693. Millington I. Game Physics Engine Development (The Morgan Kaufmann Series in Interactive 3D Technology). San Francisco: CRC Press, 2007. Boeing A, Bräunl T. Evaluation of Real-Time Physics Simulation Systems, 2007. 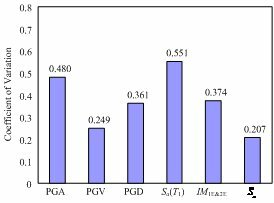 Joselli M, Clua E, Montenegro A, Conci A, Pagliosa P. A New Physics Engine with Automatic Process Distribution Between CPU-GPU, 2008. Maciel A, Halic T, Lu Z, Nedel LP, De S. Using the PhysX Engine for Physics-Based Virtual Surgery with Force Feedback. International Journal of Medical Robotics and Computer Assisted Surgery, 2009,5 (3):341-353. Xu Z, Lu X, Guan H, Ren A. Physics Engine-Driven Visualization of Deactivated Elements and its Application in Bridge Collapse Simulation. Automation in Construction, 2013,35:471-481. Tsai F, Lin HC. 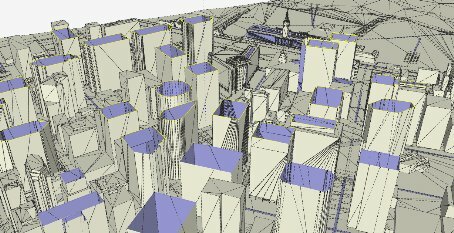 Polygon-Based Texture Mapping for Cyber City 3D Building Models. 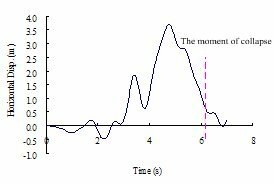 International Journal of Geographical Information Science, 2007,21 (9):965-981. OSG Community, OpenSceneGraph. [2012.05.26]. http://www.openscenegraph.org/projects/osg/. Havok. Havok Physics. [2012.07.24]. http://www.havok.com/products/physics. Game Physics Simulation, Bullet Physics Library. [2012.07.13]. 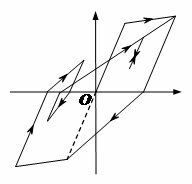 http://www.bulletphysics.com. NVIDIA Corporation, PhysX. [2012.08.11]. http://www.nvidia.cn/object/physx_new_cn.html. Reitherman R. Earthquakes and Engineers: An International History. American Society of Civil Engineers, 2012. Roesset JM, Yao J. State of the Art of Structural Engineering. Journal of Structural Engineering-ASCE, 2002,128 (8):965-975.